Recently, the Washington Post published a study on the smartest (and dumbest) states in America. Alabama placed as the fourth dumbest state, right in between Mississippi and Florida. We’ll be looking at high school completion rates rather than college-related metrics of smartness, for the sake of figuring out which cities in Alabama are contributing to the state’s stupidity more than the rest. In order to rank the dumbest cities in Alabama, we had to determine what criteria defines a dumb person. We started by making a list of every place in the U.S. with over 5,000 adults based on the 2014 American Community Survey. That left us with 78 places in Alabama to rank. Note: We only looked at cities with populations greater than 5,000, leaving us 78 cities in Alabama to rank. We also looked at the graduation rates of the entire population, not the current rates for high schoolers. 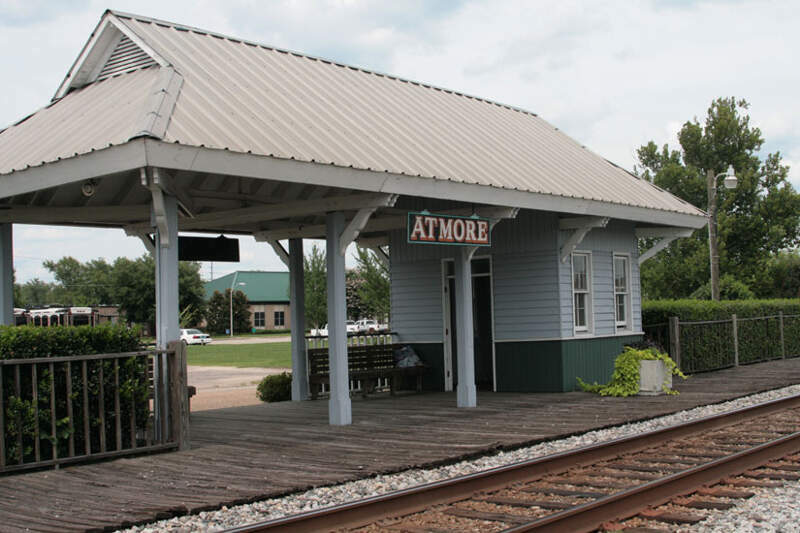 According to the data, Atmore, located in the southern part of the state, is far and away the dumbest city in Alabama. 29.3% of Atmore’s adults never completed high school, which is twice as high as Alabama’s average and the third highest rate in the state for cities with populations over 5,000. What’s more troubling, an even greater proportion of Atmore’s high school students are dropping out: a whopping 3 in 10 high school students drop out before the age of 19, which means they won’t exactly be qualified for any intellectually intensive work. That’s a dropout rate more than 6 times as high as the state average, so this is the nexus from which Alabama’s title as the fourth dumbest state in America comes. 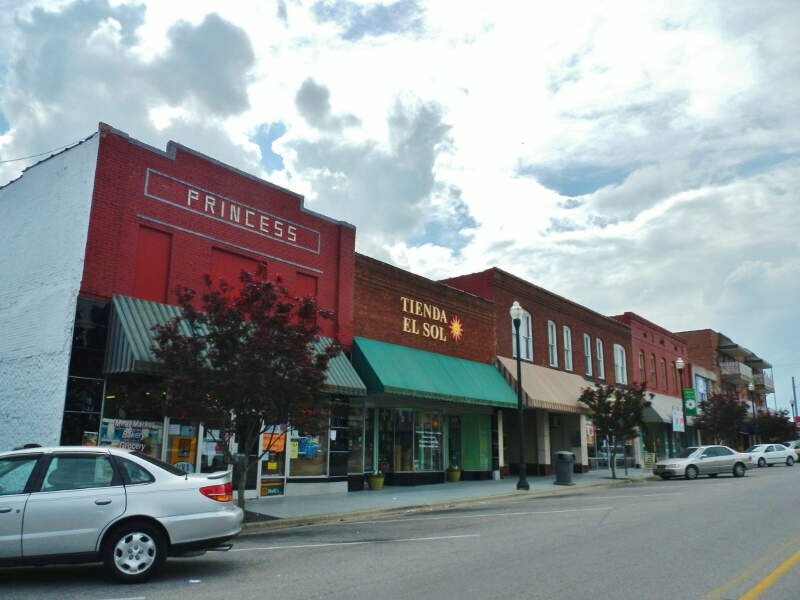 Located in northwestern Alabama, Russellville ranks as the second dumbest city in Alabama, with a slightly higher percentage of adults without high school degrees as #1 Atmore. More than 3 in 10 of Russellville’s residents over the age of 25 never completed high school, which is more than twice as high as the average rate in Alabama. On top of that, the dropout rate in Russellville is the third worst in the state, with nearly 2 in 10 students leaving high school. That’s a recipe for a dim city to remain dim. Fun fact: Russellville, Arkansas is also one of the dumbest cities in its state, so if you’re looking for a smart southern city, it might be best to avoid Russells. Another north Alabamian city, Albertville is the third dumbest city in the state, mostly because of the massive population of adults without high school degrees living there. 28.1% of folks over the age of 25 in Albertville never completed high school, which is the fourth highest rate in the state. On the “bright” side, Albertville’s dropout rate is in the single digits, which is a rare thing for this list, but an 8.9% high school dropout rate is still 3.2% higher than the state average. Alexander’s motto is Hope. Courage. Pride. Unfortunately, it says nothing about intelligence, so maybe the city never put much of a premium on smarts to begin with. 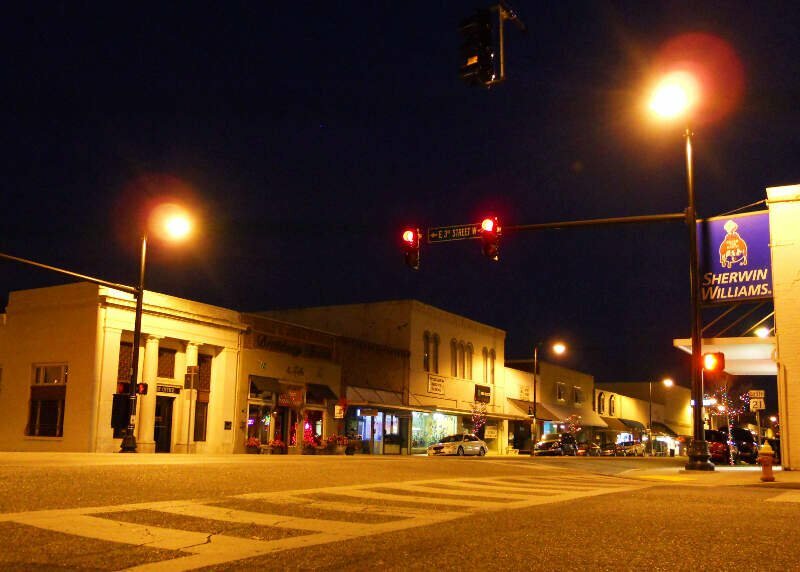 The dropout rate in Alexander is 15.6%, which is more than twice as bad as the average for Alabamian cities with populations over 5,000, and the seventh highest rate of those cities. High schoolers may be dropping out in droves because Alexander’s adult population doesn’t seem to value education much either, since 22.7% of people over the age of 25 never completed their GED, a rate 8.5% higher than Alabama’s average. Anniston is home to the country’s largest chair, which seems like a pretty dim accomplishment, but hey, it got the city into the Guinness Book of World Records for a few years. 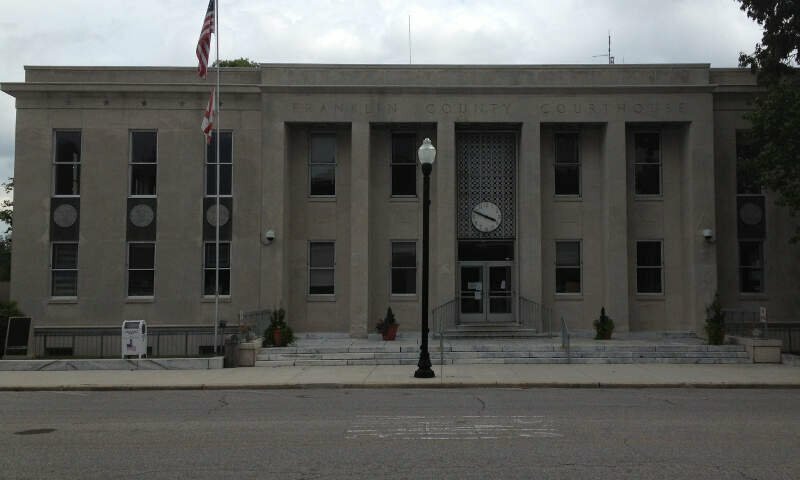 Anniston doesn’t have much in the way of wits, with the fifth highest rate of high school dropouts in Alabama. On top of that, nearly 2 in 10 adults living in Anniston never completed high school, and with 16% of high schoolers dropping out, it seems Anniston is destined to remain highly uneducated for years to come. 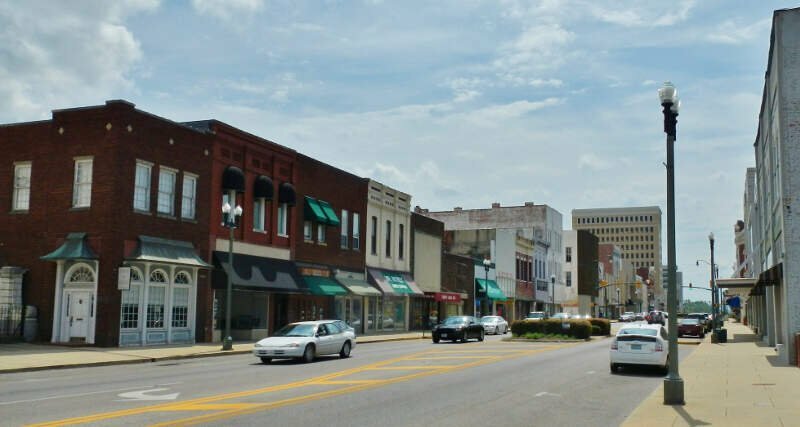 Located just southwest of Birmingham, Bessemer is the sixth dumbest city in Alabama, which slightly better statistics than Anniston in both categories. Still, 15 out of every 100 high school students drop out by the age of 19, which means Bessemer’s up-and-coming generation may be a bit lacking in intellectual prowess. The current generation is even worse, with 19.3% of the adult population of Alabama lack a high school degree, so there’s fewer places to carry on a conversation about big ideas in Bessemer. Sylacauga ranks as a fairly dumb city, mostly because it has the sixth highest rate of high school dropouts of Alabama cities with populations over 5,000. Sylacauga’s dropout rate is more than 10% higher than the state’s average, with 16% of high school students deciding that basic education isn’t really necessary. But when 18.4% of the generation that preceded them never bothered with a high school degree, you could say that Sylacauga’s youth generation was nurtured to think this way. 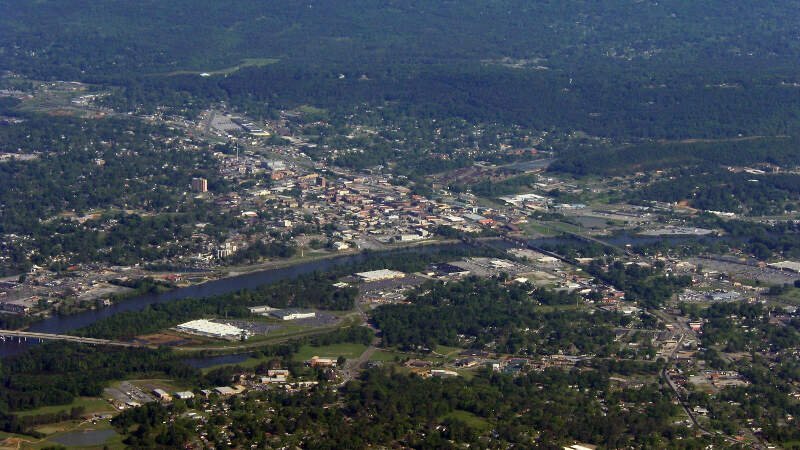 Gadsden is the most populous city to make this list and the eighth dumbest city in Alabama overall. 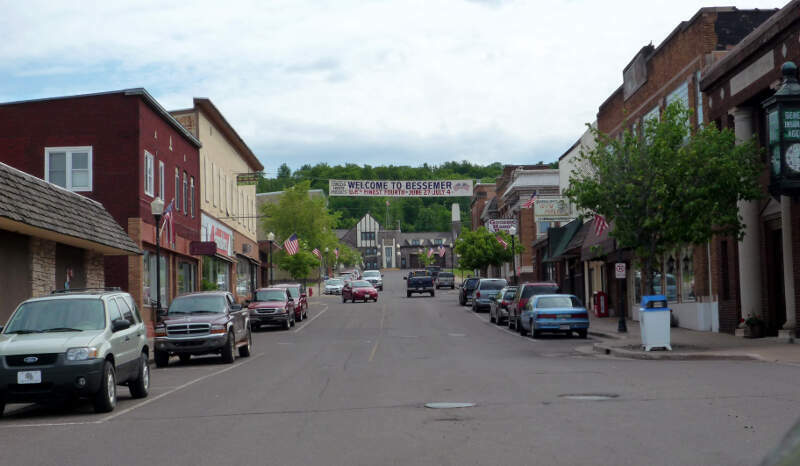 More than 2 in 10 of Gadsden’s adults never completed high school, so the city isn’t exactly a hub of high culture. On top of that, nearly 1 in 10 of Gadsden’s high school students drop out each year, meaning the city isn’t poised for huge intelligence boost in the years to come. A northern suburb of Birmingham, Fultondale touts itself as “A Friendly City.” It’s nice that they’re honest, because while folks here may be nice, they sure aren’t the brightest bulbs in the room. Fultondale’s dropout rate of 14.3% is the 9th highest in Alabama, and more than twice as high as the state’s average. It’s not just an uneducated youth population that makes Fultondale a dumb city; 17.3% of people over the age of 25 in Fultondale don’t have a GED, so wherever you look, there’s an education deficit. 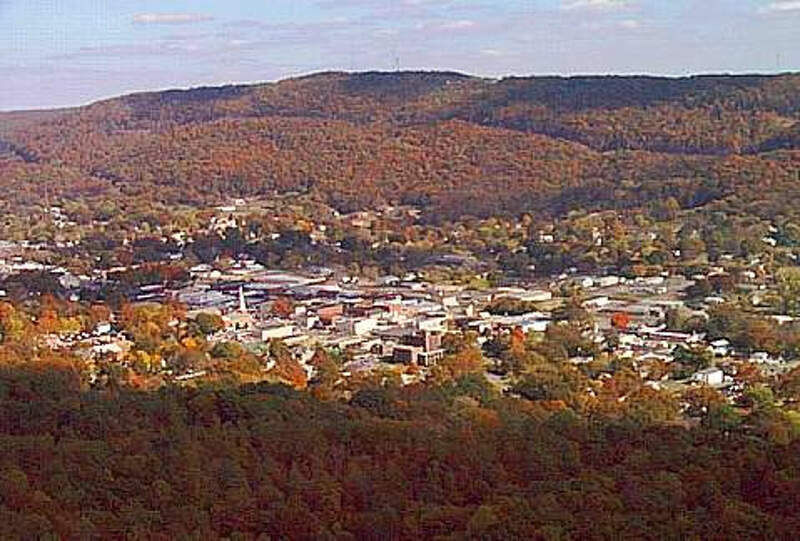 Fort Payne has the highest rate of adults without a high school degree in all of Alabama’s cities with populations greater than 5,000. A staggering 31.4% of adults never completed high school in Fort Payne, which is more than twice as bad as the state average. On the other hand, Fort Payne’s dropout rate is actually quite impressive. Only 2.8% of high schoolers drop out, which is half of the average rate in Alabama. So while Fort Payne’s current adult population may not be the sharpest tools in the shed, the next generation will at least have a basic education under their belt. If you’re measuring the locations in Alabama where there are a high number of teenage dropouts and adults who never received a formal education, this is an accurate list. Smartest cities in Alabama: Vestavia Hills, Daphne, Fairhope, Trussville, Madison. Vestavia Hills and Trussville are suburbs of Birmingham, but so were a couple of the dumbest cities, so Birmingham’s suburbs can swing either way in terms of intelligence. Daphne and Fairhope are neighbors on the eastern shoreline of Mobile Bay. Other notable cities: Alabama’s capital, Montgomery, ranked as the 26th dumbest city in the state. 14.9% of Montgomery’s adult population lacks a high school degree, and 9.3% of its high school students are dropping out. Birmingham was close behind Montgomery, ranking as the 29th dumbest city in the state, with a dropout rate right around the state’s average of 5.7%. 16.1% of Birmingham’s adult population does not have a high school degree, however. Mobile is the 39th dumbest city in Alabama, which means its right around the middle of the pack for cities with populations greater than 5,000. Huntsville is pretty smart in the context of Alabama, with a 4.9% dropout rate and 10.7% of adults not having a high school education. You’d expect authors so concerned with intelligence to muster more nuanced, evocative writing than that of a catty 7th grader. Please go back to school. Your education really wasn’t long enough to rid you of your ignorance and your thoroughly pedestrian style. Just because you don’t complete high school don’t mean your dumb. Common sense means a lot to and that’s something you can’t learn in school. I like how people like you put some people down :/ Grow up!!! Not having a basic education really doesn’t mean someone is dumb, it simply means that they are uneducated. My grandfather only made it through the 3rd grade due to the Great Depression and having to help out on the farm, but he loved to read, and he became a Sargent in the Army Corp of Engineers at an early age. He also worked security at Redstone Arsenal after the war. My grandfather had loads of common sense (enough to survive the Battle of Normandy! ), and he was quite wiley. I know people who speak English, Latin, Spanish, and a bit of French. They can tell you about everything there is to know about everything. No subject is too trivial for them to have something to say about it. 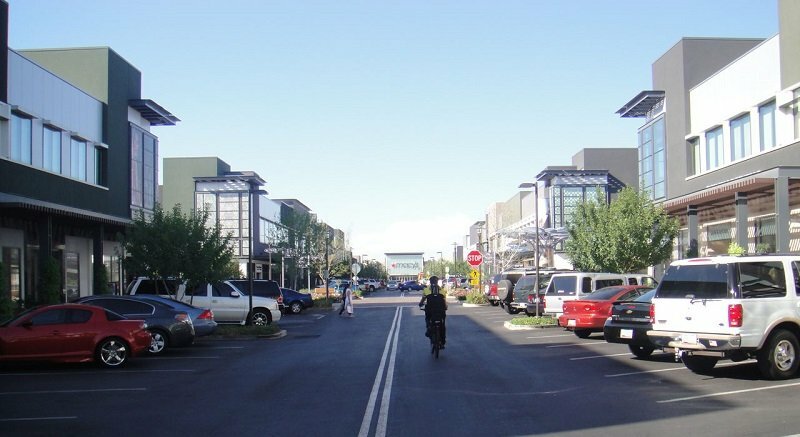 They can tell you the major thoroughfares in Helsinki, Beijing, and Seattle… but they can’t tell you what major thoroughfares are in their own city. They can’t change lightbulbs or adjust the water pressure on a toilet. They don’t know how to pick up after themselves, or mow their own yards, or cook a meal. So, while they may have enlightening things to say about the history of the Methodist Church, or can tell you all about the mating habits of the African Swallow, or can describe in great detail how ancient Egyptian boats were constructed, they can seem like the “dumbest” yokels when it comes to life’s basics, or plain old good common sense. Your data could be 100% accurate, but using Wikipedia as your source throws your credibility out the window. The dumbest list fails to take several things into account. First, at least a couple of those cities have a large immigrant population, which will, of course, skew these numbers, but also create cultural diversity within those communities. 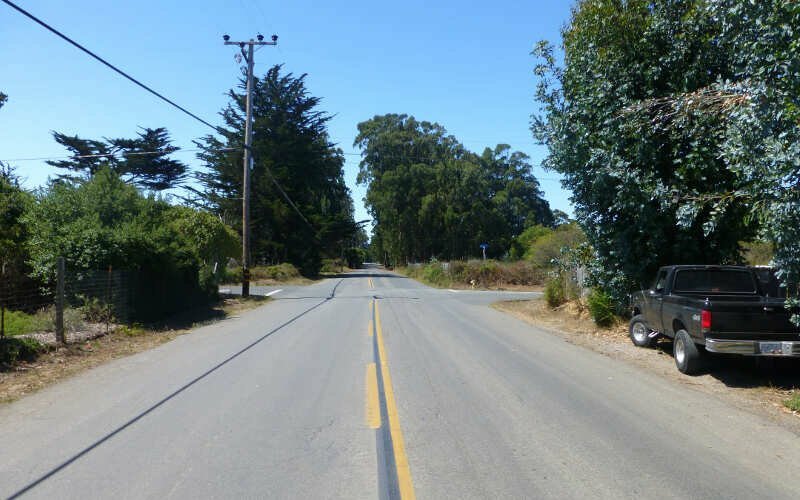 There is also no mention of municipal infrastructure and tax bases, which both have a great bearing on educational opportunities and resources available to city residents. Also of note, there is no Alexander, Alabama. I believe the city for which you may have been reaching was Alexander City, Alabama. At least the residents there know the name of their city and use it properly. Bud, you should move to Fultondale. Maybe you could teach their English classes. The assumption that one without a high school diploma is “dumb” is foolish. Many people lack education because they could either starve to death while going to school OR drop out and work to help support the family. Many of the people counted in this survey were children of the great depression and had to work to be able to eat. Schooling was a luxury. I notice that there is no byline on the article. Obviously the writer was ashamed to place his/her name on this flawed article. How privileged you must feel to write such a nasty spirited piece of trash. 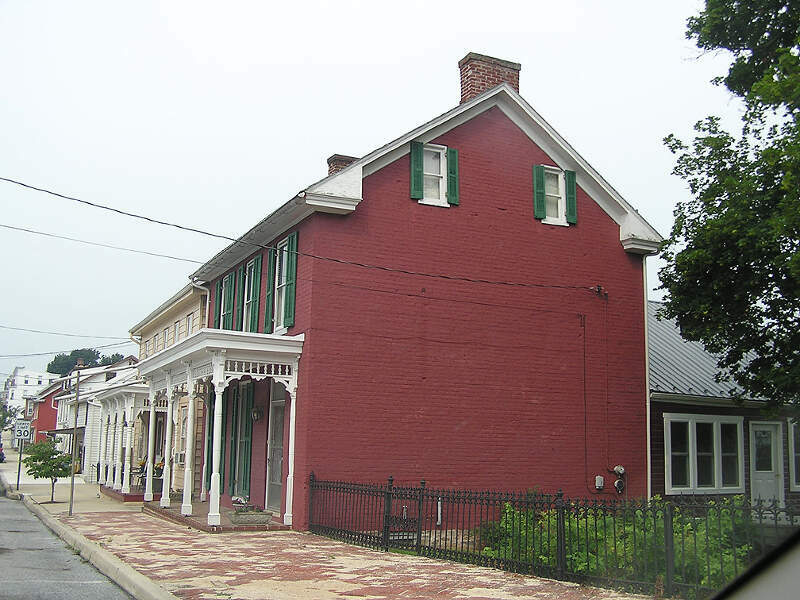 There are plenty of things in any state or any city that are not a strong point just as there are those where a city excels. You could find no place where people care more for one another than Albertville, Alabama. When our city was ravaged 2 years in a row with damage from tornados the city pulled together and helped one another with anything a person needed. People who had damage were out grilling food to feed people who were helping with cleaning up despite the fact that the persons may not have been helping them personally. We more than likely have more people with the abilities of being bilingual than the city you call home. As many others have mentioned, I would make certain to have my work proof-read should I write an article calling other people dumb when I could not properly use the English language. Your piece is not “info-tainment” (that would be the proper way to have used it, moron), it is insulting and a waste of time. It is not science, it is the ill use of statistics that you so evidently do not know how to use nor how to document it. It’s Alexander City not just Alexander, sounds like this author is pretty dumb themselves. Okay. Number one, not everyone who drops out is stupid. They have other stuff going on, that doesn’t make them dumb. I will admit I have met some dumb people here in Gadsden, but there are dumb people everywhere. Frankly, I don’t think the dropout rate has anything to do with being dumb, but it sure makes you look like a judgemental prick. In Alabama, where I was educated, I was taught not to rely on Wikipedia as a source.